Lighting energy-saving transformation of many projects, the relevant papers are also many, lighting energy-saving transformation need to pay attention to many problems, this article by Wei Liming, Tian Renrong paper data - "integrated traffic transfer center public area LED lighting transformation project" (published in "Modern Building Electric" 2016, No. 9), mainly on the following points, and we discuss. The data and calculation are shown in Table 1. The cost of retrofitting includes the cost of replacing the light source. After the transformation of electricity to save more than 50%, the effect is obvious. 1) can not be modified for transformation. For example, just completed the project soon, lighting equipment is still in the early life, this time the transformation will cause a greater waste, not desirable! 2) Replace the old lighting fixture with the entire lamp replacement. 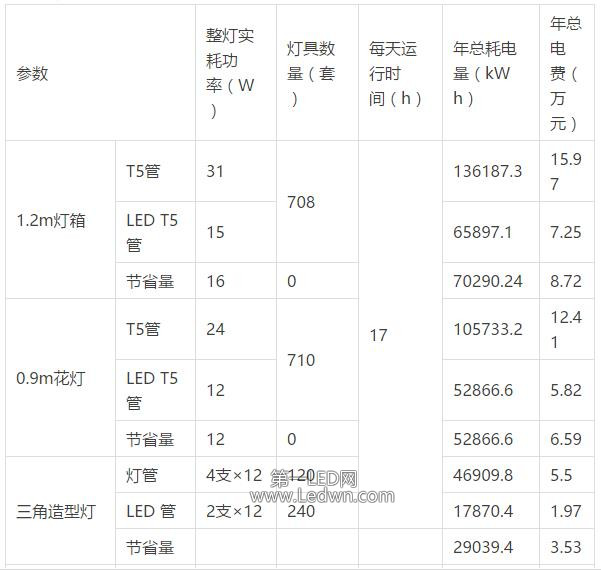 For example, the replacement of fluorescent tubes with LED tubes, only replace the lamp is not good. Because the lamp and accessories to match, mismatch will affect the performance and life of the lighting device. 3) lighting distribution line replacement should be careful. Because the life of wire and cable is generally 20 years, the need for economic analysis.